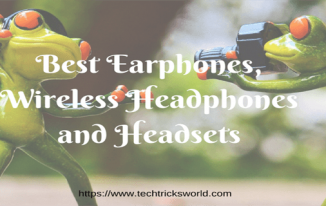 We have a lot of gadgets around us as we are living in an age where technology is everything. Technology has solutions to almost everything related to our day to day personal or professional life. Computer is one of the most important gadgets we use both for our personal and professional life. When we use a computer, we have so many input and output devices that can be attached to it to carry out different jobs. One of the very important input devices is Scanner which scans the content printed on a paper and converts it to digital images that you can access on your computer. I am sure you must have used the scanner as in the most offices it is used to scan various documents and letters to create their digital copy which can be sent by email or chat. Above is how a scanner looks like, and you can find such scanners mostly in the offices. Nowadays, multipurpose printers are coming which has Xerox copy and scanning features as well. But, What if I tell you that we have a scanner that we can carry in our pocket and that scans the document pretty well too? You will be surprised, right? I am going to describe it in a bit detail but don’t worry since this is very easy to use and don’t require so much of settings, the review won’t be too long to read. As said earlier, this is a portable pocket scanner that you can carry anywhere with you. 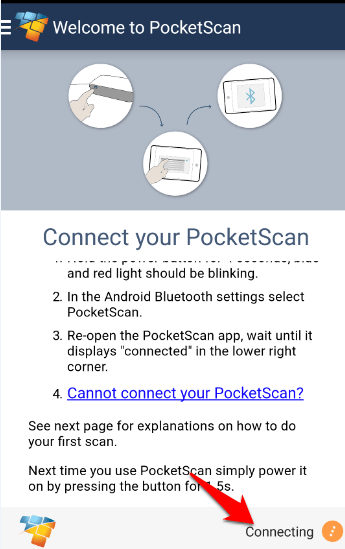 All you need to do is to keep it charged, and have the PocketScan app installed on your phone. This small scanner does scan the full page within a few seconds. 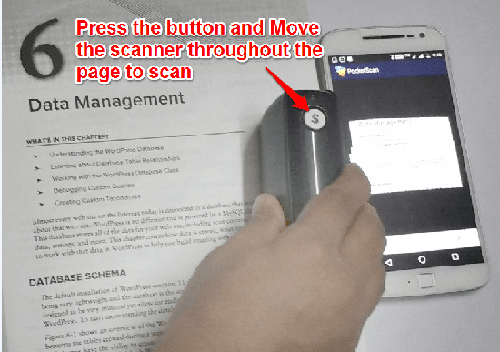 All you need to do is to connect this with your phone using the app and move this scanner on your page. I will talk more about the app and how to use it, later in the review. It does scan almost all popular paper formats such A4, landscape, etc. 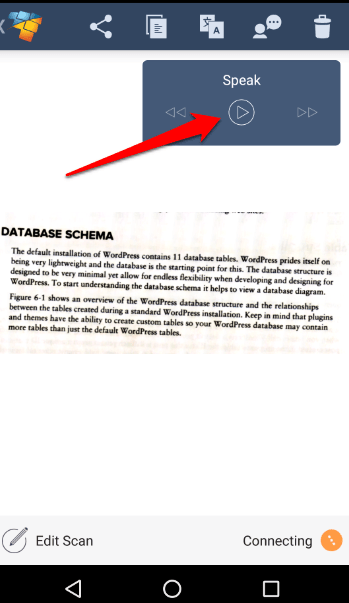 In fact, the size of the page doesn’t matter much because you need to move it on the texts you want to scan. 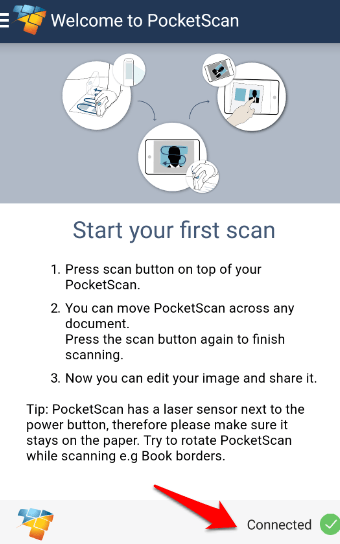 Translate Scanned Document => Once you scan any document, that is saved as an image on your phone which you can see in the gallery, and even you can see them when you open PocketScan app’s home screen. Now, open any scanned copy. You will see few options at the top, and there you will also see an option to translate. 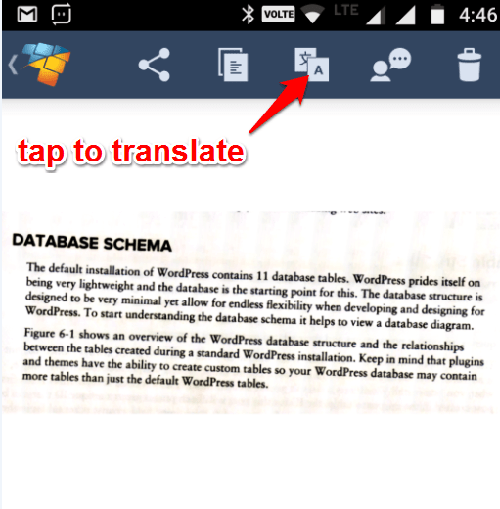 Tapping on that icon, it will take you to Google Translate page within the PocketScan app. Now, select the language in which you want to convert it. For example, I selected Hindi, and see the result below. Integrated Google Translator does this translate. 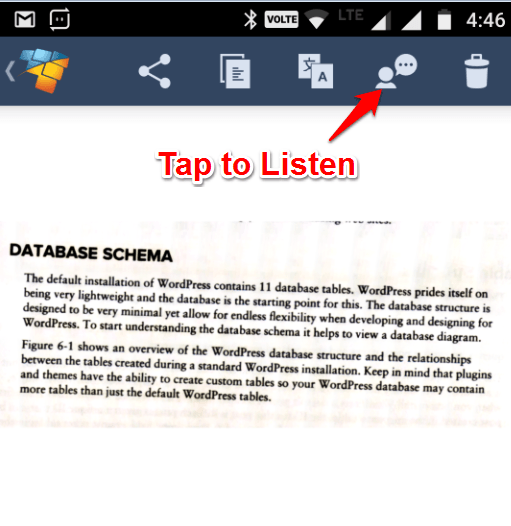 Now you just have to tap the Play icon, and PocketScan will read it for you. Powerful Battery => PocketScan has an inbuilt battery which you can charge by connecting it to your laptop or computer using the data cable you get with it. Once fully charged, you can do around 400 Scans. On my test, I have done around 350 scans, and the battery was not drained completely. High-Quality Output => The output digital images are of very good quality as well which is 400DPi. Recognizes Texts and Tables => When you scan some text and tables, this scanner recognizes them, and you can edit that scanned in MS Word and Excel. 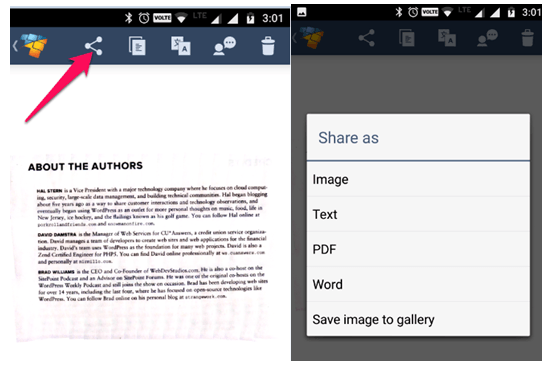 When you tap on Share icon, you will see many options which you can use to share the scanned copy in particular format. 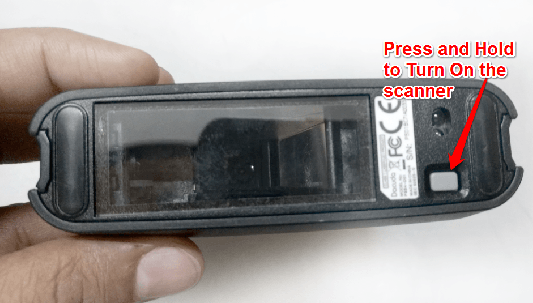 How to use Dacuda PocketScan Portable Scanner? Once you have bought Dacuda PocketScan, make sure you charge it fully using the Data Cable you get in the package. Simply connect it to your laptop or computer, and it will be charged in a few hours. 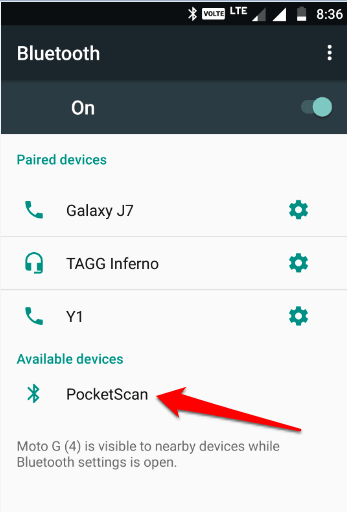 How to Pair Dacuda PocketScan with your Phone (Android)? Turn on the scanner by pressing and holding its power button for 2-3 seconds. Now, turn on the Bluetooth on your phone, and look for. Tap PocketScan to pair. Once you tap, you will see it starts trying to pair with the scanner. Once it is paired with the scanner, you will see this screen, where you will see “Connecting” Status. It will take some time to connect, and once connected; you will see the “Connected” status. 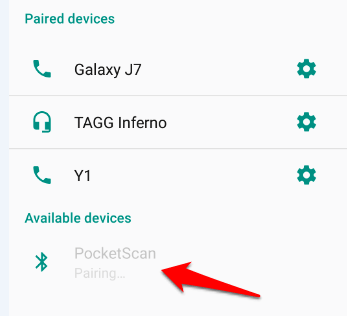 The scanner and your phone are paired, you can now use the scanner. 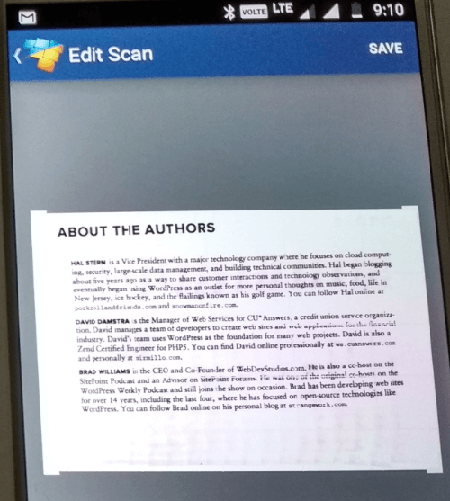 How to scan documents using Dacuda PocketScan? Press and release the Button that says “S”, and move the scanner throughout the page, and the progress of scanning will be visible in the real time on your phone. Once you are done with the scanning the whole page, then again press button “S” to stop the scanning. There you will see the “Save” option which you can tap to save the scanned copy. 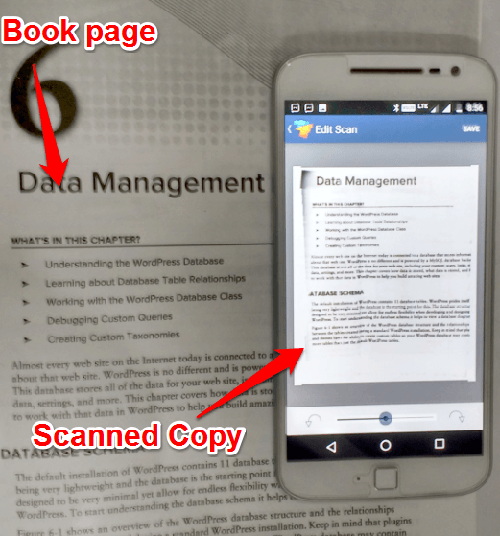 There is also an option “Edit Scan” which you can use to rotate your scanned copy. Don’t go with the small pictures shown above. The scanned texts are clearly readable. Though this pocket scanner is great if you need smaller scanning works on the go, I personally feel that this is overpriced as compared to traditional scanners. Dacuda PocketScan is priced at 11,600 INR whereas the conventional computer scanners start from around 4000 INR which does the work with less effort but yes the traditional ones are not easily portable. But, the price difference is huge. 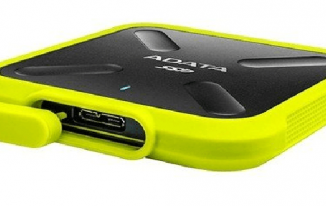 Apart from all this, Dacuda PocketScan is really nice, and if you could afford it, you must get it as you can scan things when you are out of your home or office as well. This is great that you can carry it anywhere and use it without much setup as you only need your phone to use it. It is perfect for small scanning works but when you have the huge number documents to scan, you might get tired of scanning with this, and there you will want to use the traditional one. Anyway, being the pocket scanner, it does its work with perfection. Moreover, you need to practice to move the scanner on the document in a good manner to scan properly. We have been talking throughout this review that it is portable. 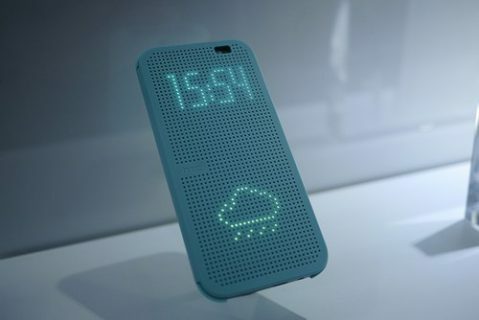 It is indeed an easily portable device as its size is tiny, and weighs only 85 grams which are the plus points of it. 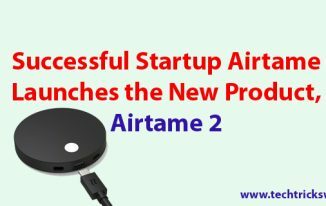 Though I have used it on my Android phone for the review, it does work well on the popular platforms such as Windows, iOS, Mac as well. If you scan documents frequently, and most importantly you need to scan while you go on business meets and stay at the hotel, Dacuda PocketScan can be your best friend. It does work efficiently, and I would recommend this to everyone who has such requirements and has the budget for it. Share your views and feedback in the comments. This is one of the best hands on review I have seen. I am liking the portable scanner and the features it has. 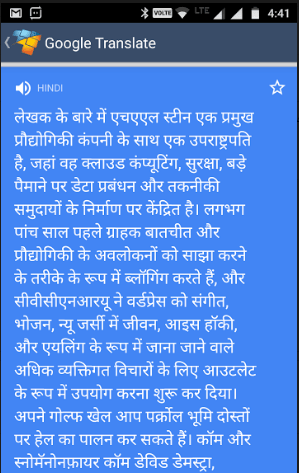 Google translate plus sharing with WhatsApp and all is also a lucrative feature. Nice review. Thanks for sharing this with us. Wow…technology has come such a long way in a short time. This pocket scanner is amazing. I am so glad you did this review because it is the first I heard of it. You also made it so easy to understand. I thank you for that because when it comes to technical things I’m a bit slow at it. I like the translating feature because it brings more people together. That my friend is super cool – I love the idea of a tiny scanner, I will have to get my hands on one of these little beauties! Really nice hands on review, thanks for putting in the work & sharing. Funny thing is just like you whenever I see some new technology I also go “isn’t technology awesome”. I remember using the big stand alone scanners and now the ones that are a part of the printer, but the handy Dacuda looks pretty cool. I like the options of translating and also that you can listen to the scanned document. Something to really invest in. Thanks for the info.